The European Union (EU) aided in the rescues of nearly 730,000 people in the Mediterranean Sea since 2015. This is according to figures from the European Commission, which were cited in several German newspapers on Sunday. "Saving human lives remains a 'must' for the EU and member states," wrote EU refugee commissioner Dimitris Avramopoulos in a letter to the European Parliament. Avramopoulos also thanked non-governmental organizations that assisted in rescues and stressed that their work should not be criminalized. 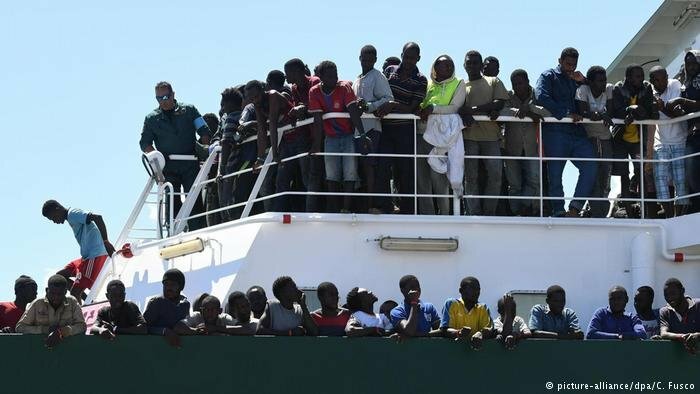 Though the figure of 730,000 lives saved is large, the announcement comes as Operation Sophia, an EU anti-smuggling operation, will end its naval division. This is due to member states disagreeing how to divide the rescued among themselves, according to the dpa news agency. The operation will now only commence from the air and train the Libyan coast guard, which means the operation can no longer save distressed migrants at sea. "The EU member states' decision to virtually end Operation Sophia is a depressing setback for the humanity of Europe," Dominik Bartsch, the head of the UN refugee council (UNHCR) in Germany, told Welt am Sonntag newspaper. Bartsch added that the lack of ships for Operation Sophia would lead to more drownings in the Mediterranean. He continued by saying restrictions on private rescuers must be lifted. "Rescuing people from distress at sea is a humanitarian and legal imperative, which is enshrined in international conventions," said Bartsch. Operation Sophia has saved about 45,000 people since 2015, according to the epd news agency. Bartsch said Libya was not a safe country for refugees to return to. Refugees who are picked up by the Libyan coast guard just off the shore of the African country are taken back and usually kept in detention camps that have a horrific reputation. "Just as before, thousands of people are sitting at the gates of Europe in Libyan detention camps in inhumane conditions and are raped, sold or enslaved," said Bartsch.